As you all know, the upcoming months are lined up with various important exams like SSC Stenographer, RRB JE, ​​RPF constable and many more, so we have given given exams. We are providing daily learning quizzes, we aim to provide the best study materials to our students. Attempt this quiz and check your preparation. Q1. Mercury, Venus, Earth, ? / बुध, शुक्र, पृथ्वी, ? Q2. AB, BC, CD, DE, EF ? Q3. If 18 (9) 3 and 36 (30) 5, then what is the value of A in 19 (A) 18? / यदि 18 (9) 3 और 36 (30) 5 है, तो 19 (A) 18 में A का मान क्या है? Q5. If a mirror is placed on the line MN, then which of the answer figures is the right image of the given figure? / यदि MN रेखा पर एक दर्पण रखा जाता है, तो निम्न में से कौन सी उत्तर आकृति, दी गई आकृति का सही प्रतिबिम्ब होगी? Q7. 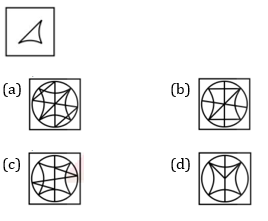 How many triangles are there in the given figure ? / दी गयी आकृति में कितने त्रिभुज हैं? Q8. In the following question, by using which mathematical operators will the expression become correct? / निम्नलिखित प्रश्न में, किन गणितीय संक्रियाओं का प्रयोग करके दिया गया व्यंजक सही हो जाएगा? Q9. There are 45 trees in a row. The lemon tree is 20th from right end. What is the rank of lemon tree from left end? / एक पंक्ति में 45 पेड़ हैं। नींबू का पेड़ दायें अंत से 20वें स्थान पर है। बायें अंत से नींबू के पेड़ का स्थान क्या है? Q10. 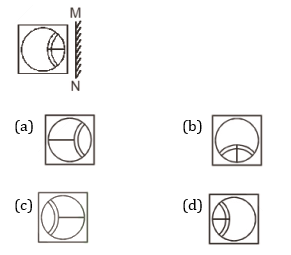 From the given answer figures, select the one in which the question figure is hidden/embedded. / दी गयी उत्तर आकृतियों में से उस आकृति को चुनिए जिसमें प्रश्न आकृति छिपी/निहित है?